Super flexible bendy life size spine model. Once bent, spine will remain in that position, to show correct and incorrect postures as well as any pathological malalignments. It is the best spine model to meet your needs! 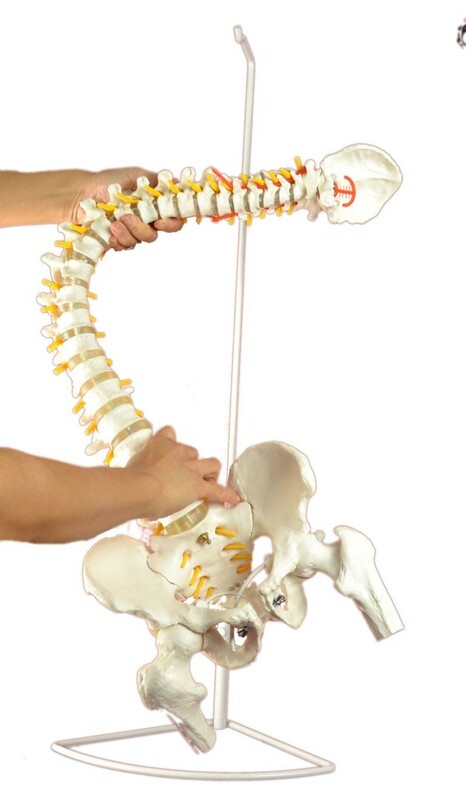 Natural cast original size, this life size spinal model consists super flexible vertebral column, occipital plate, cervical, thoracic and lumbar vertebrae, the full pelvis, and sacrum coccyx, with movable, removable femur heads.